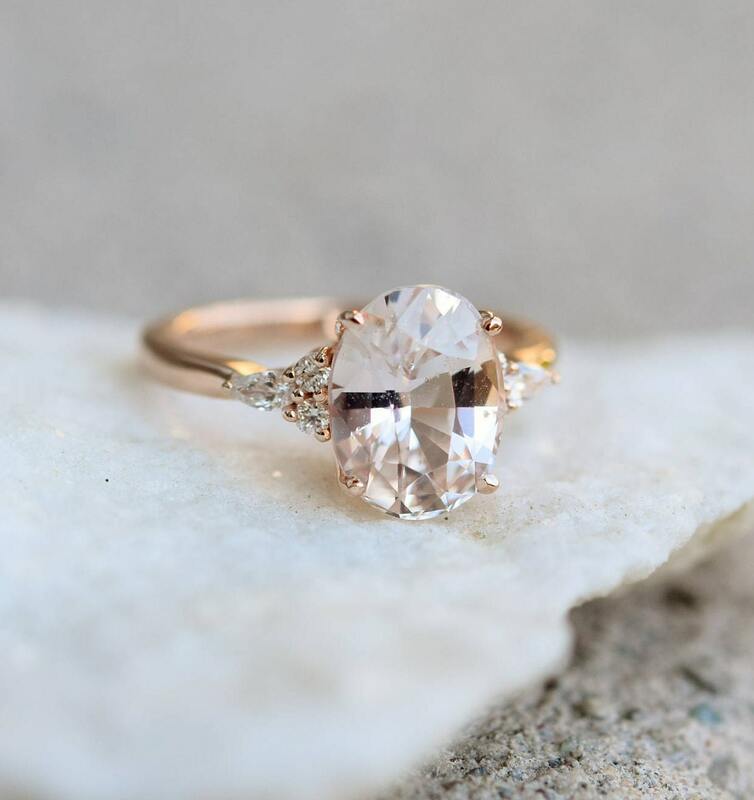 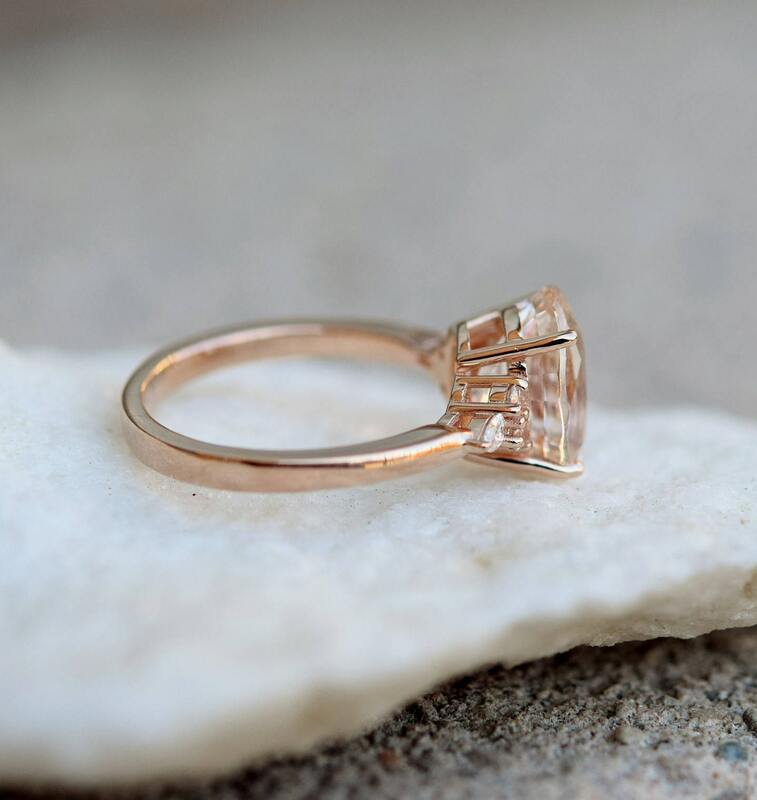 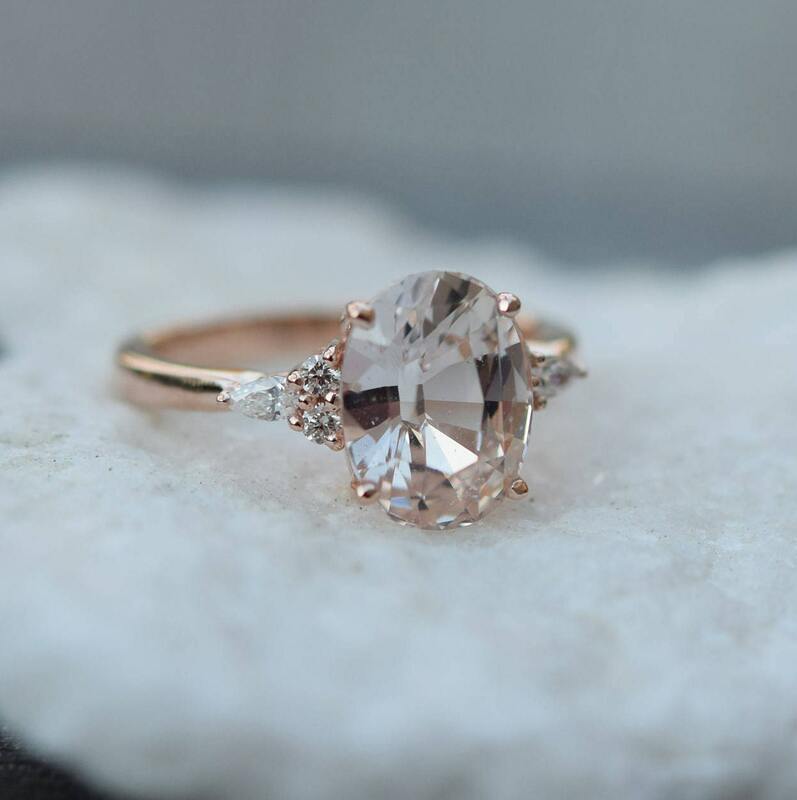 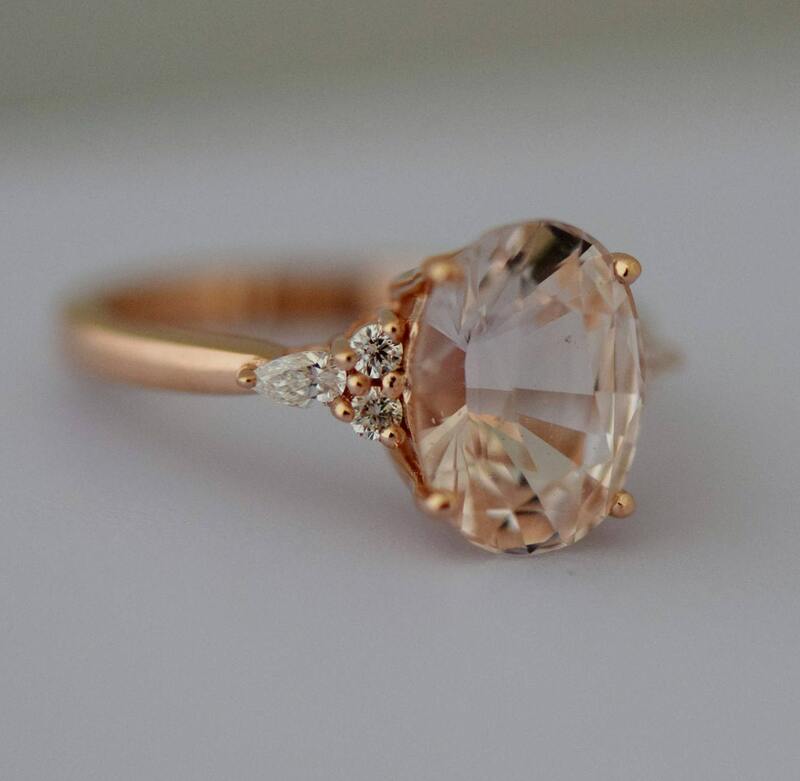 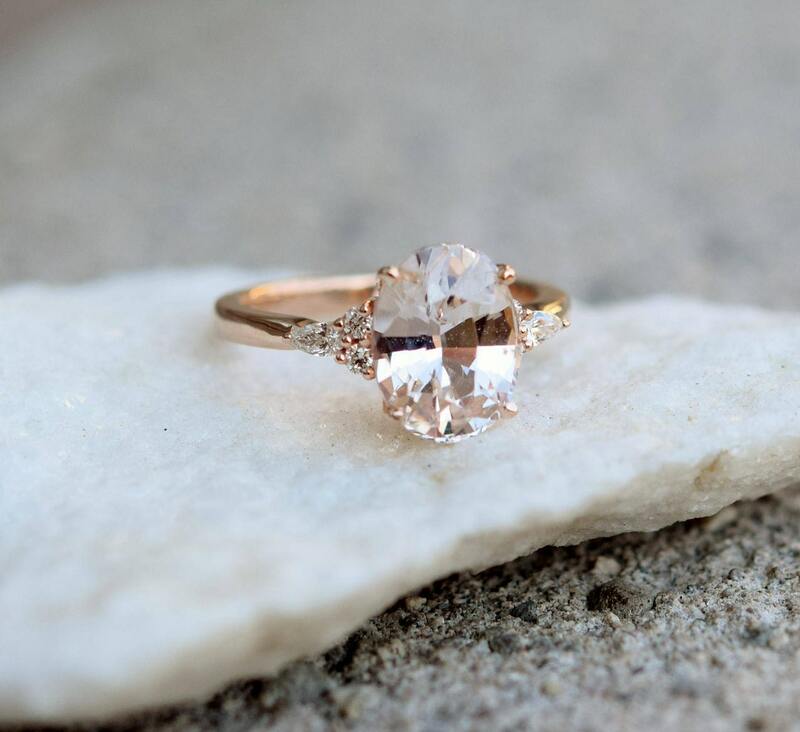 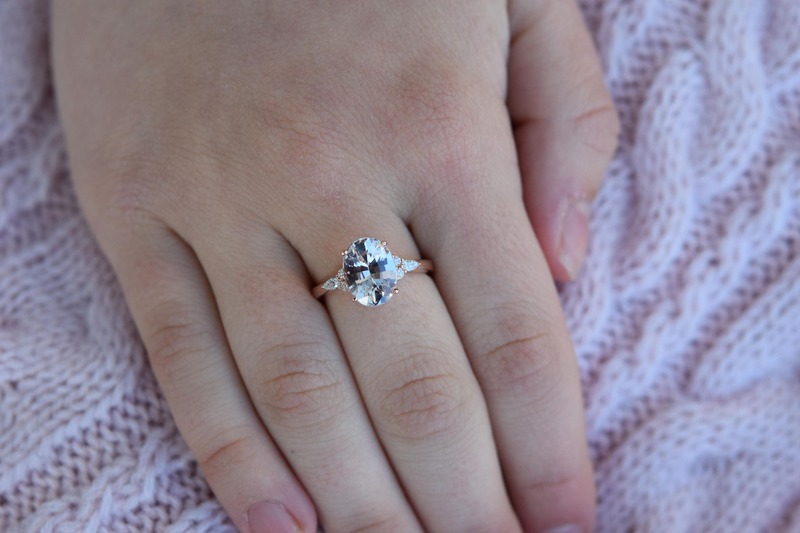 Peach champagne sapphire Rose gold engagement ring. 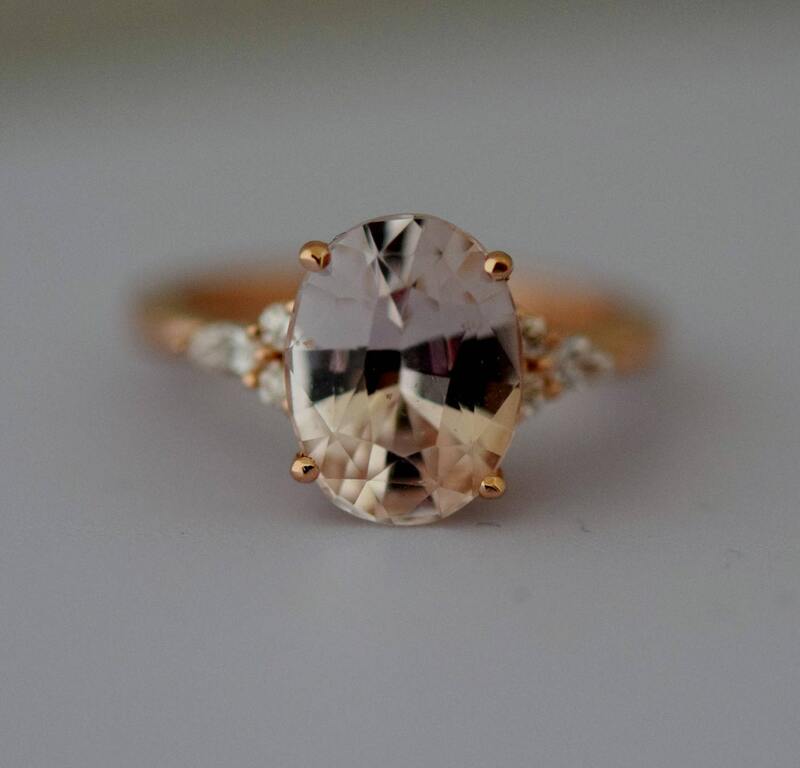 The ring features a mesmerising untreated oval sapphire. 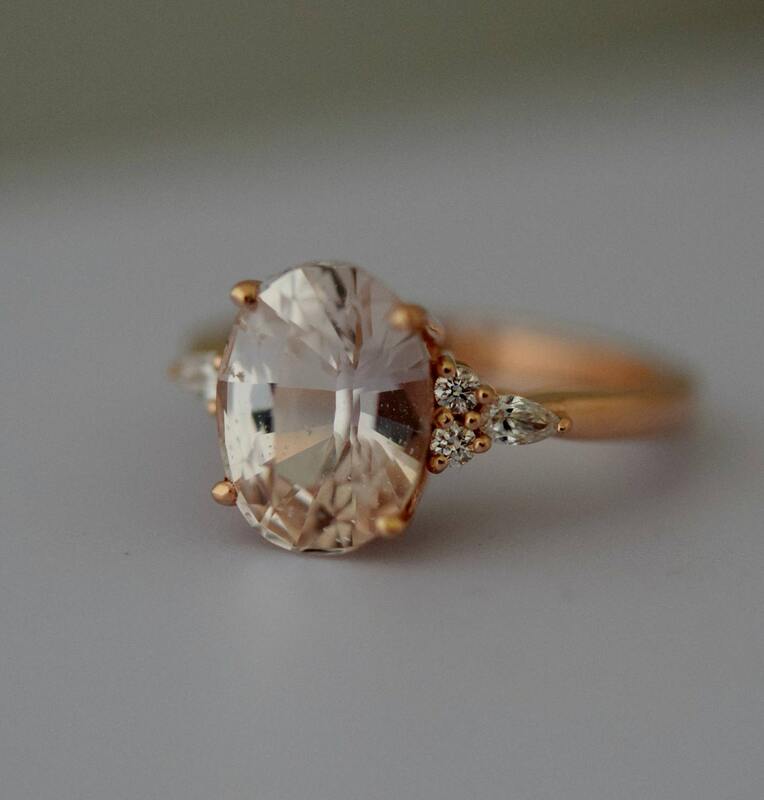 The color is gorgeous very light peach champagne. 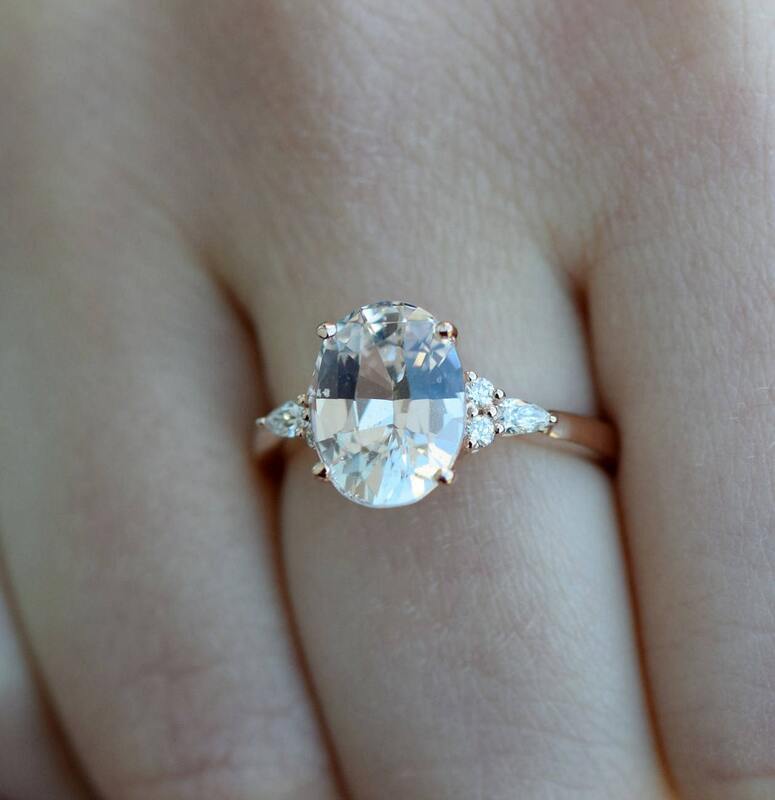 It changes to clear or peach depending on the lightening. 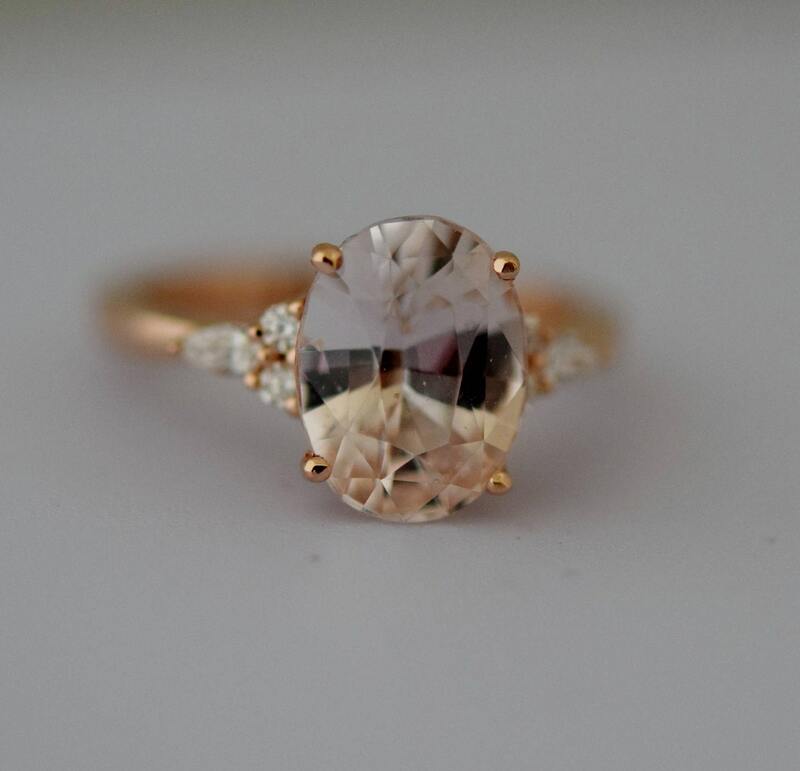 The sapphire is very beautiful and clean.